The retail industry has come a long way. Now, most of the people prefer online shopping than going on a departmental store, standing in a long queue and purchase a product. Thanks to the evolution of e-commerce, the people’s shopping experience has taken a new shift. 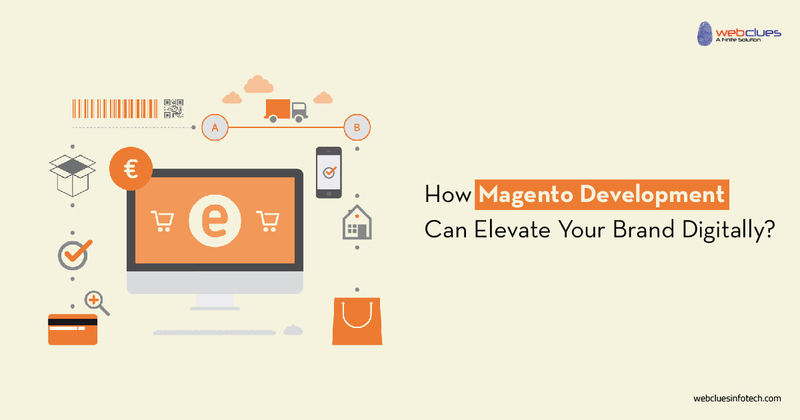 Although developing a Magento E-Commerce store is not similar to developing a simple website, it requires specific skill sets and somewhat different tools to excel the market of e-commerce sales. Magento is a boon for e-commerce website owners. Big players like Nike, Lenovo, Nestle, etc. are relying on Magento to generate their e-commerce sales. So, what makes Magento Development credibly enough to cope in the digital revolution? A business owner needs to decide long and hard to make any professional investment. Be it an estate, technology, human resource, etc. With Magento, you don’t have to worry about the installation cost because it is an open source CMS and can be easily downloaded without spending a single penny. Furthermore, thanks to a free and robust extension, your Magento Development activities can be fueled with utmost efficiency and accuracy. Evolution is the characteristic of nature. One must evolve professionally as per the demands and serve the consumers to the fullest potential. With that being said, if you want to add more functionality to your online store or revamp the whole website without costing time and resource, Magento will allow you to do so. The CMS is extremely customizable and ready to cope with any future requirements that may arise. It might happen that during a sale, there is a significant amount of visitors visiting the website. At that time, another platform might get a server shut down, but when you have Magento in place, it is not possible. Moreover, Magento gives an excellent user experience. It is an optimized CMS making its web pages load faster, so the user won’t have to wait to access the page build on Magento. Magento allows creating more than one e-commerce store on a single website. So, you don’t have to go through the hustle of website development if you want to incorporate different products and offers on different e-commerce stores. Magento allows you to add as many stores as you like. Generally business owners use different stores for different countries. Magento is globally accepted since its inception. With more three decades old, the platform has strong technical support all around the world. So, even if you stuck somewhere in the development phase, the digital community of the CMS will help you out. As per our versatile experience in Web development vertical, we can suggest Magento without giving it a second thought. Even if you want to do Magento plugin development for specific functionality, or build a whole website as your digital property, there is no better option than going for this trustworthy platform. Magento e-commerce development can skyrocket your online sales thanks to its versatility and robustness. Do let us know is the comments why do you prefer Magento Development.